Kagoshima, a place blessed with ideal climate, fertile volcanic soil and tea artisan techniques is famous for growing tea leaves. Ingredients: Water, Freshly Brewed Green Tea, Ascorbic Acid (E300), Flavouring. 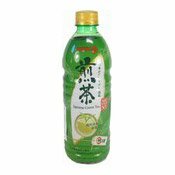 Simply enter your details below and we will send you an e-mail when “Japanese Green Tea Drink (日本綠茶)” is back in stock!